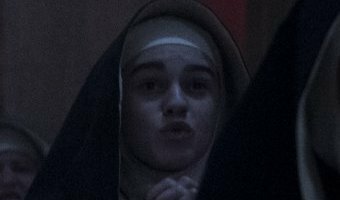 Where Does ‘The Nun’ Fit in ‘The Conjuring’ Timeline? Culture Movies & TV From director Corin Hardy, The Nun is the newest installment in The Conjuring universe. The film will tell the story of “the origins of the demonic entity that will be haunting the Warrens in Conjuring 2,” Hardy explains in a featurette released by Warner Bros. in August. “One of the things that occurred to us early on is, they have a superhero universe. Why can’t we do that in the horror world?” said James Wan, director of The Conjuring. “When we were making the first Conjuring, it became apparent to us that we could make a bigger universe with so many other great stories.” Where does The Nun fit into the timeline? Below is a comprehensive guide to the timeline of The Conjuring movies, which began as horror stories loosely based on the lives and career of real-life paranormal investigators, Ed and Lorraine Warren. Taissa Farmiga as Sister Irene in New Line Cinema's horror film "THE NUN," a Warner Bros. Pictures … [Read more...] about Where Does ‘The Nun’ Fit in ‘The Conjuring’ Timeline?